I didn't get a chance to post my Hip Kit Club layout from last week, because of the Thanksgiving holidays, so I thought I would stop in and share it today. I love all of the fun things we have going on each month at Hip Kit Club! Did you know we have FREE cut files and Weekend Challenges every week in the Hip Kit Member Forum??!! This week's challenge is based on a Sketch, and I used it as inspiration for my layout created with the November Hip Kit & Add-On Kits, along with some of the cut files by Nicole Nowosad! 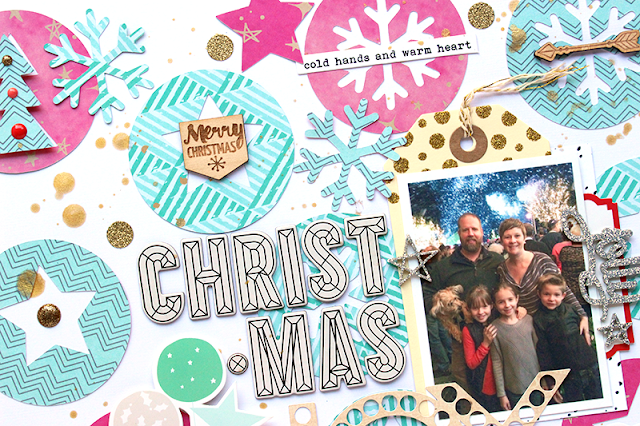 I mixed the exclusive papers and embellishments in this month's Kit, created by Kim Watson, with some of the Pinkfresh Studio Christmas Wishes collection, also included this month. 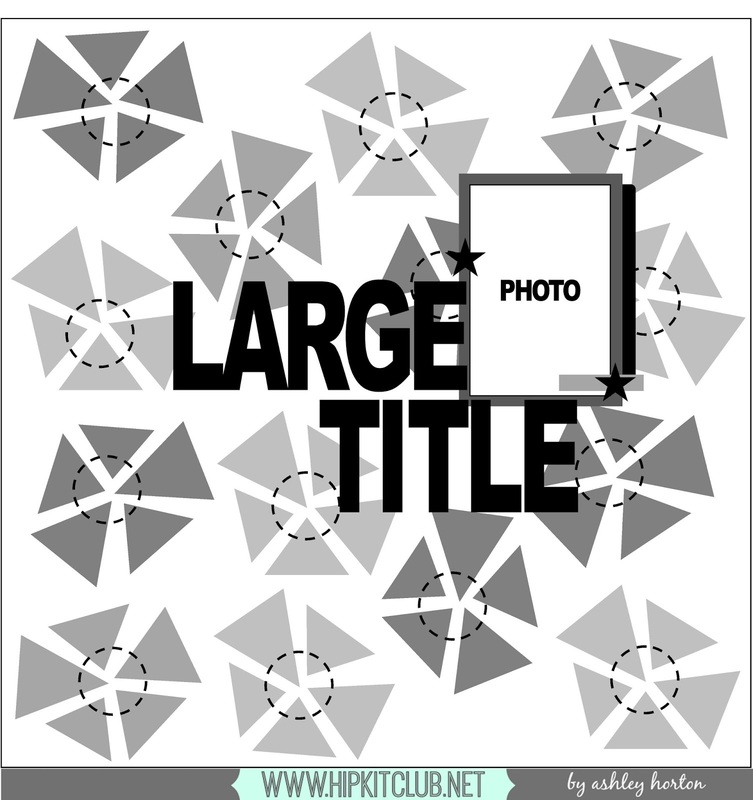 Since I used a White card stock background, I created a busier design with the die cut circles, to create a fun look for the page. I finished the design, with a large title, using the Maggie Holmes Thickers included in the November Embellishment Kit. 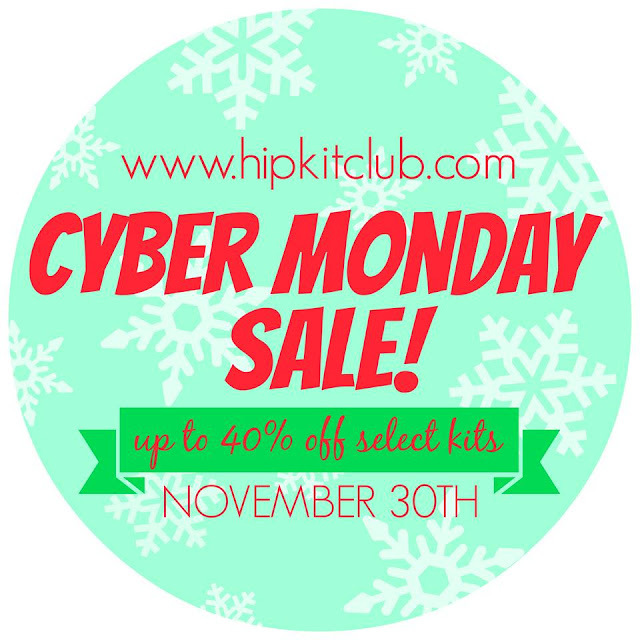 And make sure you check out the Hip Kit Club website today! There's an awesome Cyber Monday Sale, that you don't want to miss!! Page Maps & The Cut Shoppe Team Up!